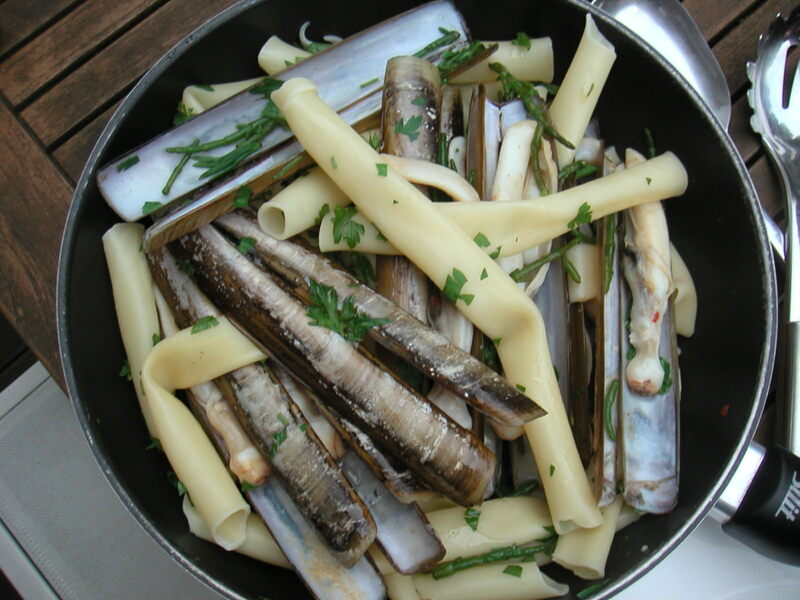 With razor clams, fresh crabs + samphire from Mark White aka MarkyMarket “your man at the market”. Market in this case being Billingsgate (fish) and Smithfield (meat). markymarket@hotmail.com 07939 526 202 or follow Mark on Twitter @markymarket. I think I may calling Mark on a lot when I embark on my “Look Local” campaign on the 1st of July. My quest is to shop locally and avoid the supermarkets for fresh food – and I’ll be reporting here on how I get one. If you want to find out more visit the Women’s Food & Farming Union London branch’ website www.wfulondon.org.uk . I hope you will join the “look local” campaign for the opportunity to (re)connect with your local community + retailers, support British farmers +_ growers and help to reduce our collective carbon footprint. On Friday we ate the steamed razors with candele lunghe (literally “long candles”) 50cm long tubes of pasta which you break/smash into pieces over boiling water. I sweated the garlic in olive oil in a pan large enough to hold the razors, then added the chilli and a glass of white wine and brought that to a simmer. Added the razors and just as the shells were opening after a couple of minutes (a sign that the shellfish is cooked) chucked in 2 handfuls of samphire. Mixed with the cooked candele lunghe (which were roughly the same size as the razors) they made a delicious “hands-on” meal. Fingerbowls with plenty of lemon + large napkins a must! 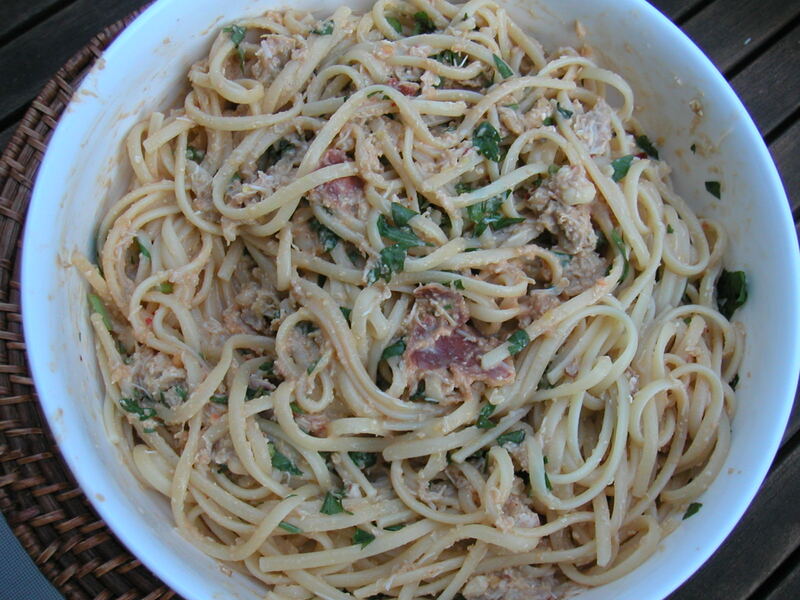 And on Sunday I used the crabs (ready cooked to make life easy, but you could buy live ones + boil your own) to make crab linguine. 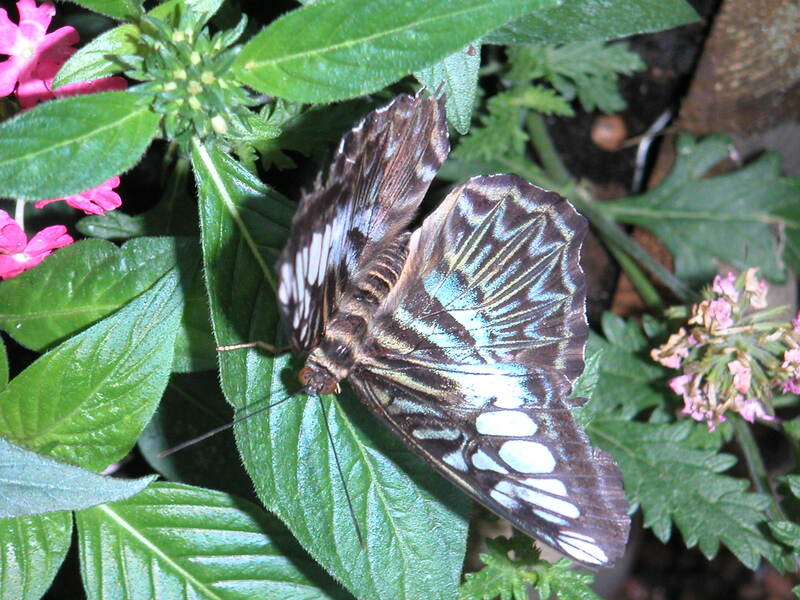 I took these pics last week at the Butterfly Explorer exhibition at the National History Museum in South Kensington. Although primarily intended for children (but hey, I am a child at heart!) I really enjoyed the visit. 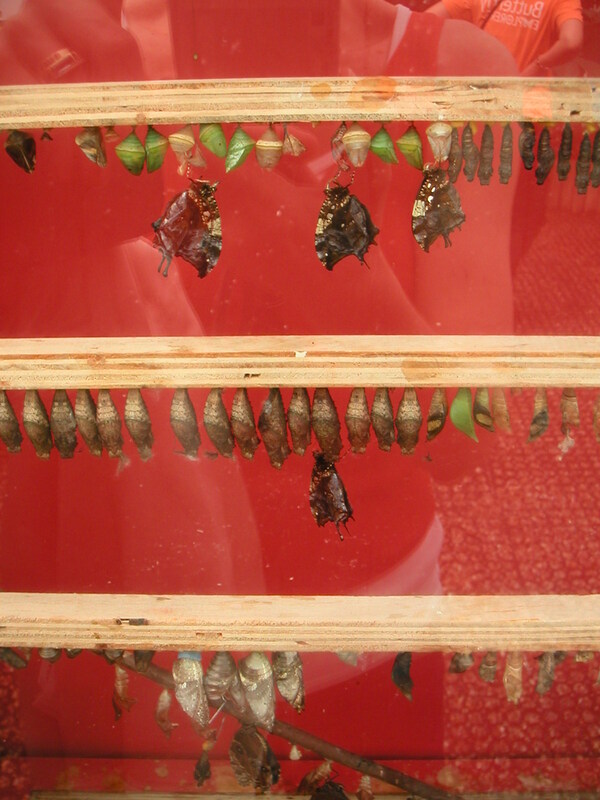 The museum has created a pavillion on the East lawn which houses live butterflies that fly around freely … and land your shoulder if you are lucky. 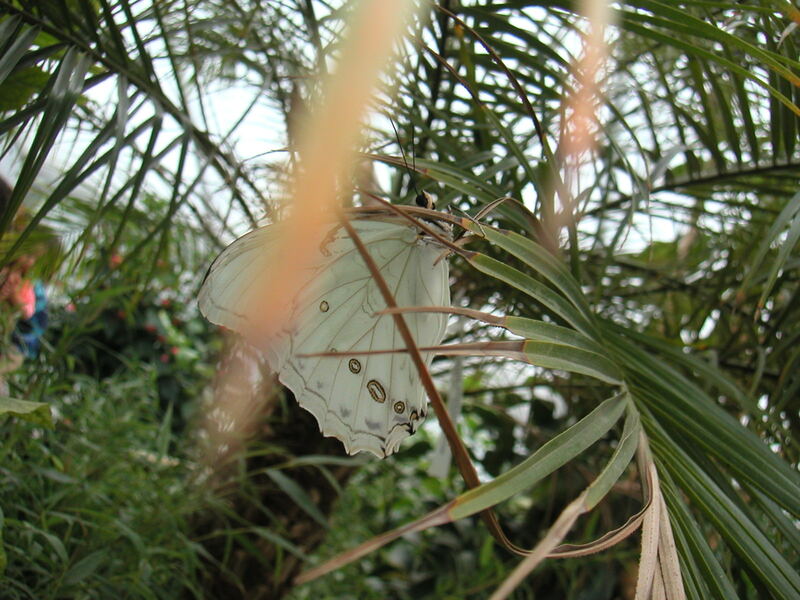 I don’t often see butterflies in London and remember seeing really only a handful of species in childhood. Well, this is something else! The buterflies are truly exotic + huge. 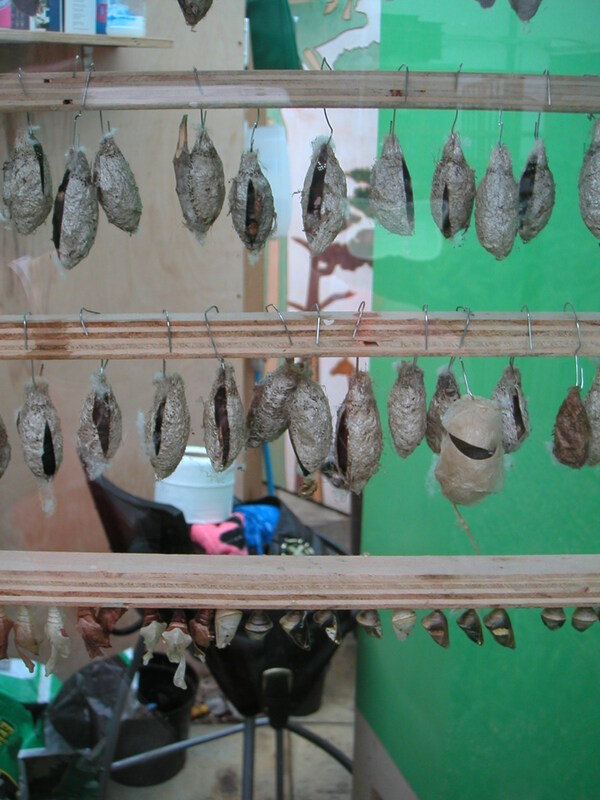 They are imported (as pupae) from various countries around the world and hatched in a special room, then released into the exhibition. Do go + visit (borrow a child if you must), the exhibition runs till the 26th of September. Remember to dress in layers that are easy to peel off : it is very hot + humid inside the pavillion. But don’t miss out on this wonderful opportunity to get close-up and personal with these amazing, exotic creatures + enjoy! 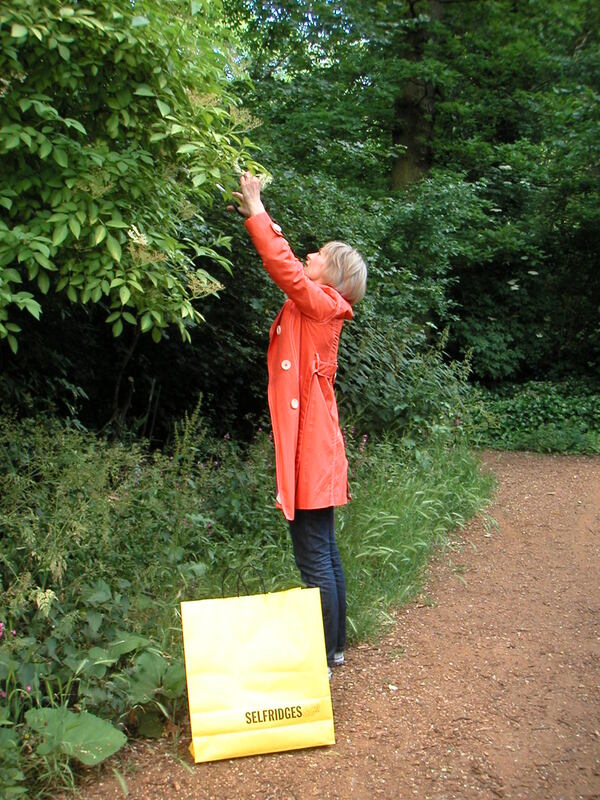 This is another example of free food, a hedgerow treat, which can be picked now and stored in bottles for a taste of summer in the winter months. It’s a delicate cordial, a delicious treat simply mixed with sparkling water or made into a sophisticated cocktail. 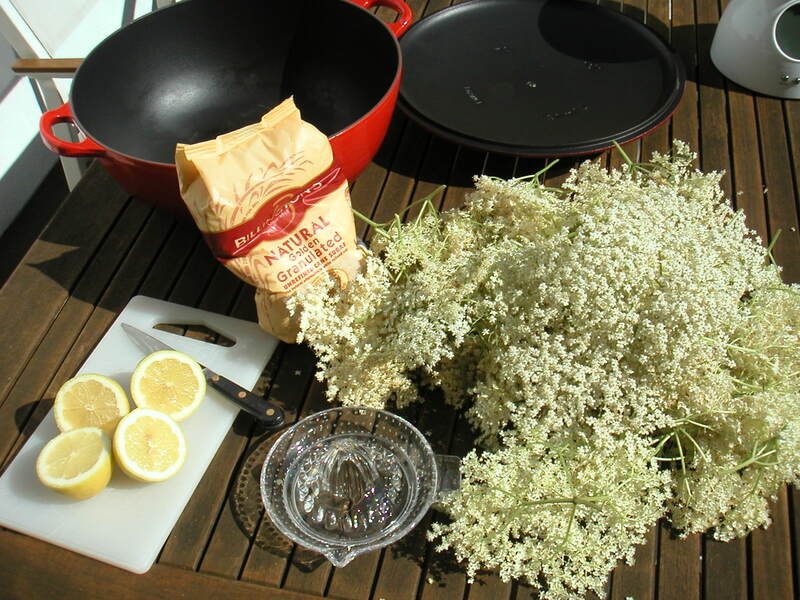 It is too easy to just buy a bottle of commercially produced cordial, but making your own can be fun and if you are using elderflowers all you are paying for is some sugar, a couple of lemons and an hour or so of your time. 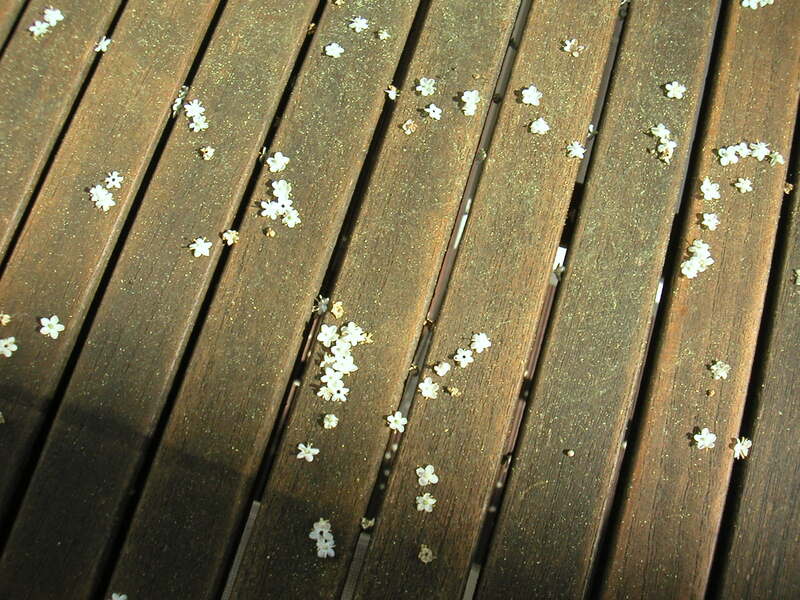 Pick only the white flowerheads, avoiding those that have started to go a bit brown. I use a small pair of sharp scissors to cut the stems close to the flowerhead. The flowerheads are made up off clusters of tiny white flowers with yellow stamens. 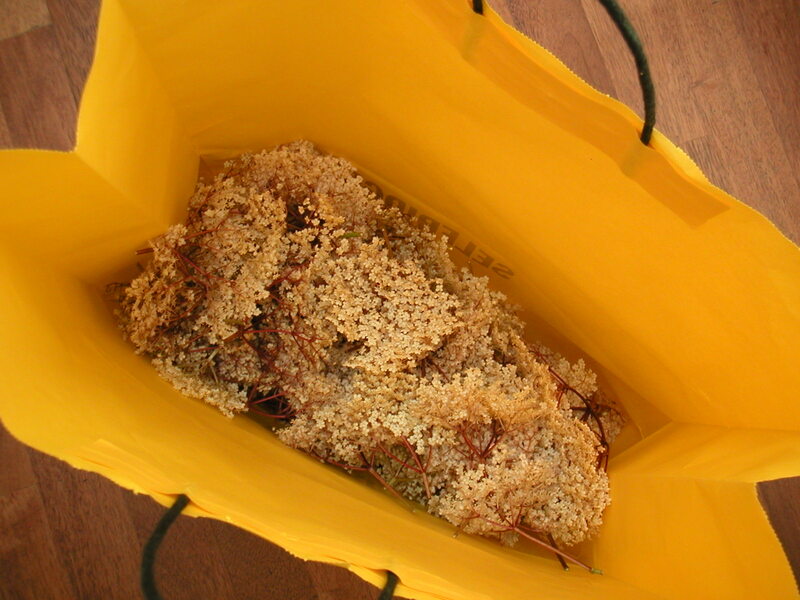 Remove any leaves and excess stems from the flowersheads, shake out any insects and remove as much yellow pollen as you can. Place the sugar, flowerheads and water in a non-reactive pan (or pans), squeeze in the lemon juice and the add the lemon halves. For 4 litres of water I used two Le Creuset cast iron pans of 7 litre and 4.3 litre capacity. Put the lids on the pans, bring the water to the boil and simmer for 1 minute. 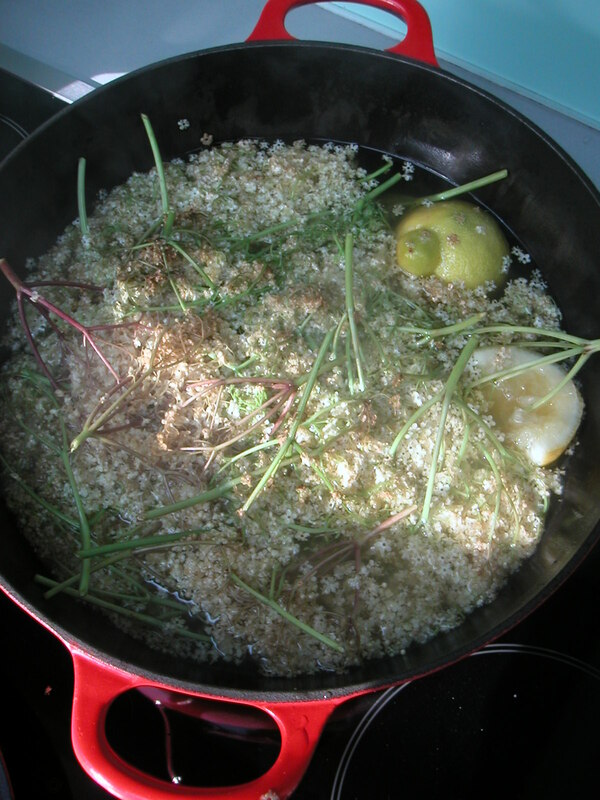 Remove from the heat and leave the flowers to infuse for 24 hours in the covered pans, stirring every so often. The scent is quite heady! When ready, strain through a muslin cloth and store in sterilized bottles. To improve the keeping quality, immerse the filled bottles in a pan of water, bring to the boil and simmer gently for 15 minutes, then leave to cool in the water and store in a cool placce. I am going to try and freeze some of the cordial and will let you know if this affects the quality. Give it a go and let me know how your home made cordial compares with the commercially produced varieties. Samphire: love it or loath it? Samphire is one of those foods that is a real treat to most food lovers, but totally alien to others. It looks like green coral, I suppose, and can be found on the seashore and marshes around the coast. It is a wild vegetable and free! The revival of the fish trade around the Kent/Sussex coast supplying restaurant kitchens + High Street fishmongers in London has led to samphire enjoying a mini renaissance. Samphire was very popular in Victorian times and the plants were boiled or pickled. It’s quite difficult to describe samphire’s taste: I’d say it is a bit like like spinach crossed with a taste of the sea. The texture is pleasingly crunchy. Expect to pay around £10 per kilo. I used 500g of samphire last night as a side vegetable dish for 3 (quite greedy) eaters, but a little would go a long way if you use samphire as an ingredient in a recipe. Just wash in cold water and remove any discoloured and woody stalks. Then blanch briefly in boiling water, drain and serve. I added a small knob of delicious beurre d’Isigny and plenty of freshly ground pepper; you’ll probably find you won’t need to add salt as samphire has a naturally slightly salty taste. Blanched samphire would also work a treat in a salad with fresh crab or smoked trout, fresh peas, peashoots + a mustardy dressing. Or try adding it to a nice piece of fish cooked “en papillotte” with a few cockles, white wine + butter. I am interested in your samphire recipes and, if you are new to samphire, what you think of it. 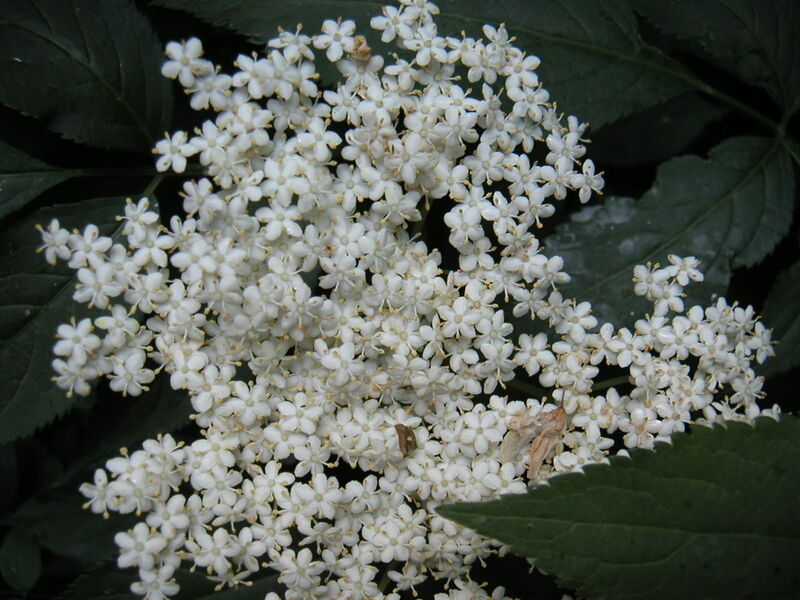 Also, I am keen to make the most of the plentiful supply of elderflowers at the moment and I am looking for recipes other than the ubiquitous cordial and sorbet. So do get in touch – I look forward to receiving your comments. I realise this post is rather late , a week after the event took place at Vinopolis on the South Bank and days after the more dedicated (or should that be organised) food bloggers wrote about their experience. Apologies for the “so-so” pics: the event attracted its fair share of professional food bloggers, all poised with their cameras to capture everything and everyone. … and to be honest with you, I just felt a little embarrassed about whipping out my camera all the time preferring instead to look, talk and remember. Identita London is the only venture outside Italy of the internationally renowned Identita Golose www.identitagolose.it , Milan, which has become one of the world’s leading gastronomic events where globally acclaimed chefs meet to present and exchange ideas. 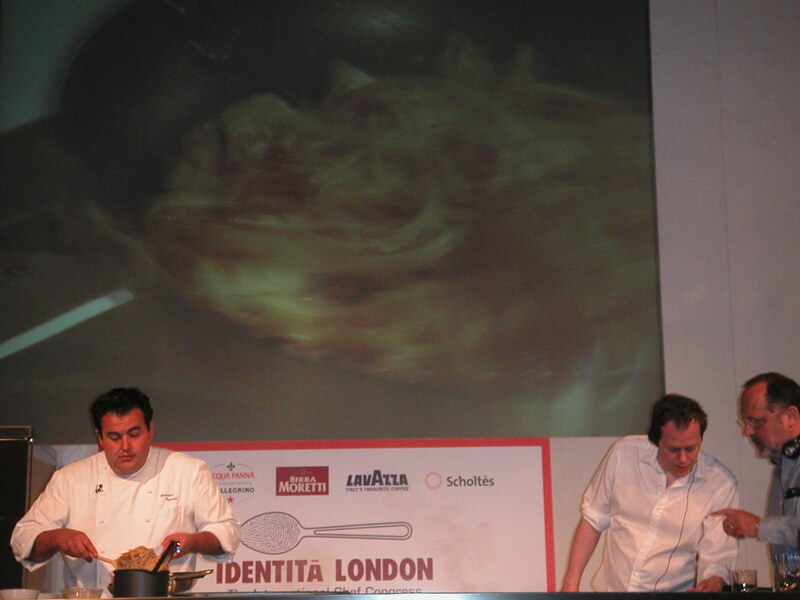 The focus of the 2010 event was themed around The luxury of simplicity, which is about chefs being inspired by ingredients and their seasonality. Beyond this, the event is an ambassadorial platform to promote Italy + Italian cuisine and to counter its common association with pasta and pizza. So, with true Italian styly + flair, Vinopolis’ Great Halls where decked out in minimalist white + oxblood red, glamorous assistants dressed in black, clear perspex Philip Starck “Ghost” chairs and moody lighting. The event was presented by Paolo Marchi, one of Italy’s most respected and renowed food journalists and columnists and founder of Identita Golose in 2004. His c0-presenter was Tom Parker-Bowles, foodie, journalist and son of. If I had any criticsm of Paolo and Tom it would be that they were so focussed on (eating!) the food being prepared, that there was very little interaction with the audience and little or no space for time and questions. The event was supported by Grana Padano, San Pellegrino, Lavazza and Pasticio Dei Campi amongst many others, offering tastings of gourmet gelato, San Daniele ham, top wines and olive oils. Antica Corte Pallavicina offered delicious cold meats from the Nera Parmigiana native pig breed: the best salamis I have ever tasted, soft, butter almost and a world away from the pre-sliced packaged variety. 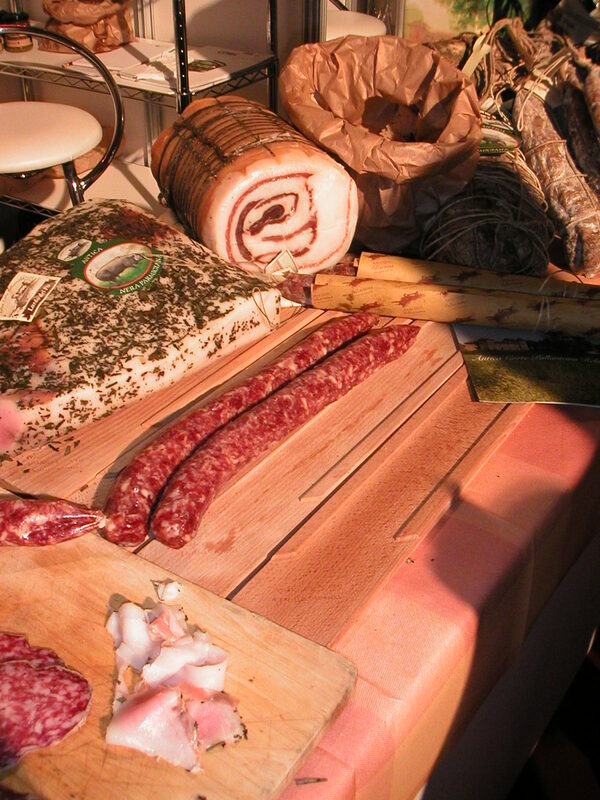 The salami above (long sausage shape) is cured for only 15 days. The chef’s demos I enjoyed most were by Ashley Palmer Watts (who talked about dishes with a historical context for his menu at the soon to open restaurant at the Mandarin Oriental) , Massimo Bottura, Gennaro Esposito (the science behind preparing pasta) and Davide Scabin. Those of you who know me are aware that I believe that you are what you eat and try to balance nutrition with taste, but the one demo that bored me was by Heinz Beck who I felt made healthy eating dull. The dish he created with quinoa + herbs (“to give you emotion”) with a “cheese bouillon” amongst many other worthy ingredients, I thought looked really messy and unappetising on the plate. Sorry Heinz, no offence meant but your approach does not float my boat! There was a goodie bag for every delegate and one of my favourite gifts of the year so far is Grana Padano’s bright yellow brolly. Pity I have had to use it a bit too often recently.